I love a good snack and I find that usually I lean more towards savoury snacks rather than sweet ones. Don't get me wrong...I do love sweets too, but having something savoury especially that's portable is a big plus for me. 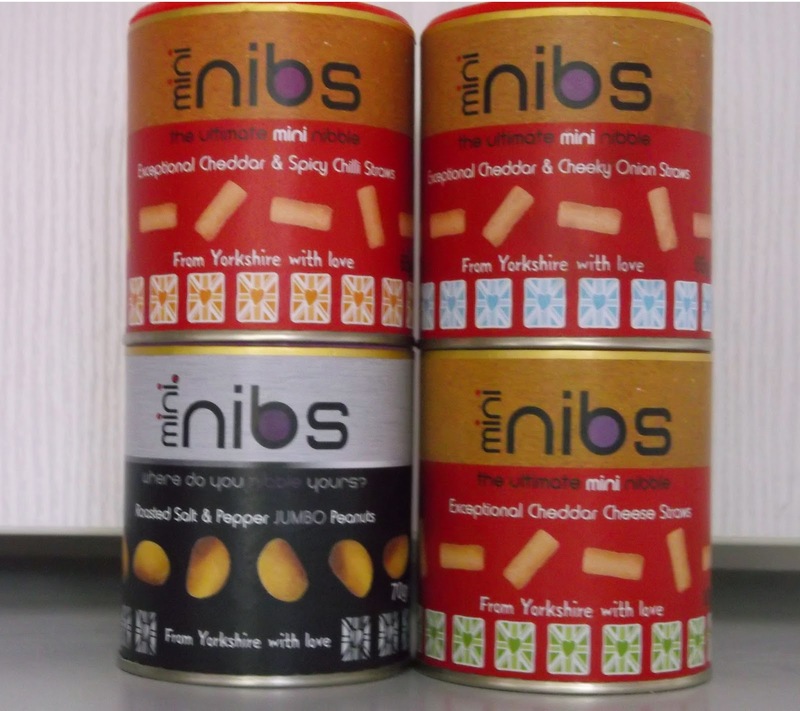 Recently I've had the opportunity to try out a delicious range of savoury snacks called Nibnibs. They are delicious snacks produced in their bakery in North Yorkshire using the finest ingredients. I've been able to try the Exceptional Cheddar & Spicy Chilli Straws, Exceptional Cheddar & Cheeky Onion Straws, Roasted Salt & Pepper Jumbo Peanuts, and the Exceptional Cheddar Cheese Straws. They were all so tasty and very enjoyable to munch on. The original Exceptional Cheddar Cheese Straws had a lovely, satisfying flavor and the other varieties with the chilli and onion flavors were delicious also. The variations offered good variety to the snacks without overpowering the original cheddar flavor. All of the flavors of cheese straws had a delightful crunch. Also, I love peanuts and these were delectable. The seasoning was perfectly done and didn't get in the way of the peanuts themselves at all. Nibnibs come in convenient tubular packaging which makes the containers just the right size to carry in your bag if you want to snack on the go. The Nibnibs come sealed in a foil pouch within the container and each container has a resealable lid. As I said at the beginning, I love a good savoury snack and Nibnibs are now a firm favorite with me. If you'd like to try them for yourself, why not enter the giveaway below for your chance to win some? Note: This giveaway is open to UK residents only. To learn more about their full range of products, please visit their site here. You can also connect with them on Twitter and Facebook. *Disclaimer: I was sent this product to try in exchange for a review. Opinions are my own.